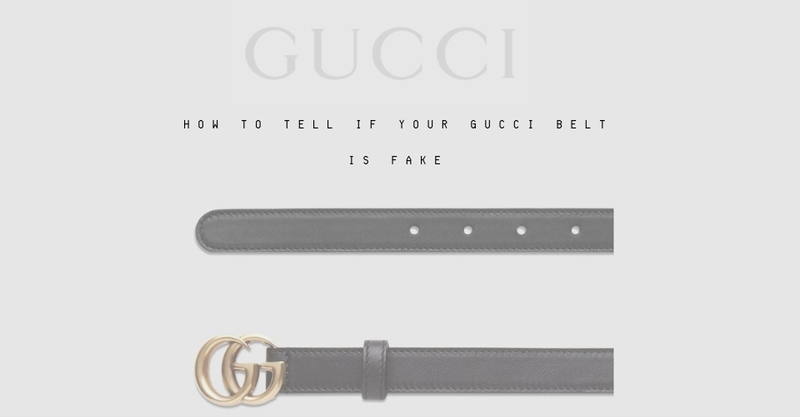 I’ve been dying to do a video/blog post about how to tell if you've purchased a fake Gucci belt. For those of you that have been trying to find this belt on Poshmark, Ebay, Vinted, or any other third party marketplace app, I'm going to go over some details you should look for on the belt so that you dont waste 200 dollars on a fake one! I actually purchased one from a seller on poshmark, and they advertised on their listing that the belt was real and It was actually a fake! 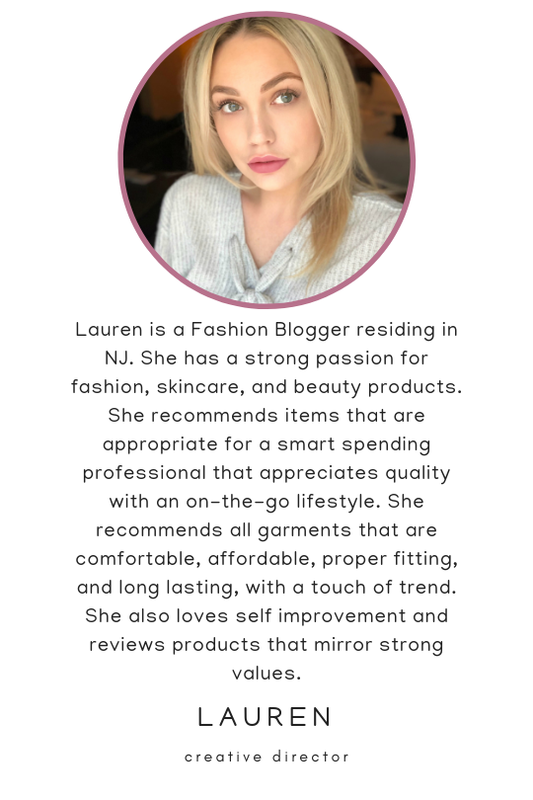 I want to save you the hassle of purchasing from these sites just to return something that isnt real or have an item you paid too much for if it won't last. After all, with fakes you really don't know where your money is going. If you dont mind buying an expensive fake belt that may not last as long that is perfectly fine, but for those who really want the real one or want to try and save some money, this video should be a huge help! First I’m going to go over the BELT specs to determine whether it is REAL and not FAKE. Then I will go over the packaging/receipt specs. Number 1: Check the Belt's Style/Serial Number. If you have purchased the unisex, 1in Marmont Gucci Belt, the serial number should be on the reverse side of the belt near the buckle and have 21 characters. The authentic style/serial numbers are found on the Gucci Site. As for the 1inch belt, the first 11 characters found on this belt are 414516 AP00T. If the first 6 numbers are different, you have yourself a fake belt, also if the second set of characters are different, you have yourself a fake belt. The serial number has a 3rd set of characters and this indicates your SIZE. On mine, shown in the photo it says 75 30. The number 75 indicates your size in CM and the number 30 indicates the waist size in INCHES. If you want to find your size, there are size charts also found on the Gucci Website. Number 2: Check the Smell of the Belt. If the belt has a semi strong odor, or even a noticeable odor, you have a fake belt. The real gucci belt does not have ANY strong or noticeable odor while worn or held. This signifies that either the leather has been sprayed to smell like real leather, or you’re catching the smell from a factory in China-or both. Number 3: Check the Stitching of the Belt. With exception to the stitching around the buckle portion, all of the other stitching should be PERFECT without any errors or double stitching. As pictured, the flap behind the buckle that holds the buckle onto the belt is double stitched in 2 areas to keep it secure. 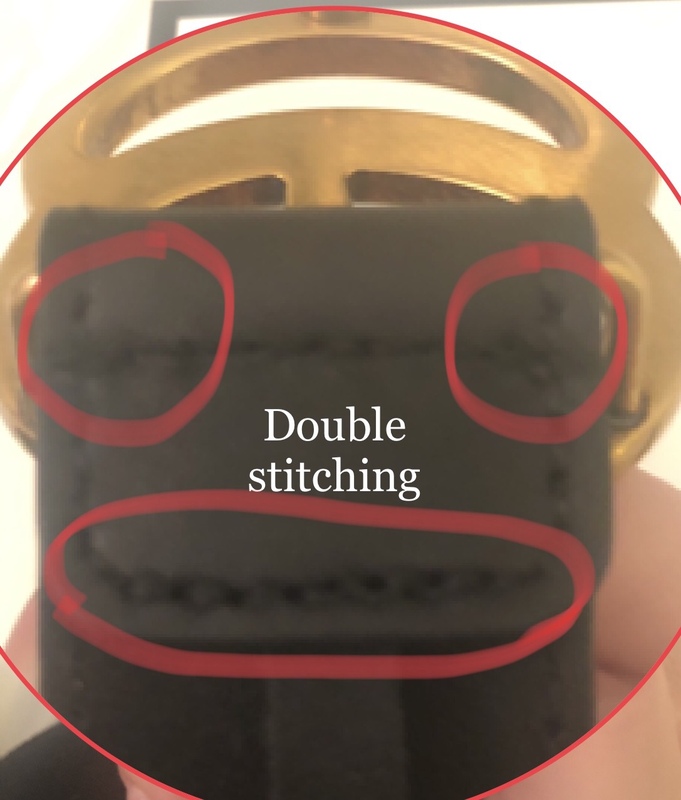 Also, the flap that attaches the end tip to the belt (which is leather on the gucci belts) and metal on some others, is double stitched about 6 times to keep it secure as pictured below. Number 4: Check the Color of the Buckle. The fake that I bought was almost identical, other than the serial number, the color of the Double G’s, and the Odor of the belt. The Authentic Gucci belt buckle does not consist of super perfect/shiny Gold. It is semi dull and looks a little bit aged/ tarnished. The color of the metal should not look like perfection and it should not be completely smooth. If your metal looks too perfect a yellow gold with an orange hue, you have a fake belt. Number 5: Check the Holes. Number 6: Check the Leather. Number 7: Check the leather holding the end tip that protects the end strap. If the leather or material feels flimsy holding the end tip onto the belt (the piece that protects the end strap of the belt), you have yourself a fake belt. The flap that I'm describing in the picture should feel very strong and should not feel like it will eventually break off or feel weak. Number 8: Check the Box Colors. The box from the Gucci Store is not harsh black or harsh white in color. The colors used on this box are an off black and off white. Number 9: Check the Gucci Letters on the Box. If your belt's box came with flat letters, its a fake. Number 10: Check The Bag your Belt came in. Number 11: Check your Card. When I received my box, there was a receipt and card explaining the return policy of the item. Number 12: Check the Receipt. If your seller has purchased from a real Gucci Store, this is what the receipt will look like. ALL ITEMS MUST HAVE A RECEIPT FOR PROOF OF AUTHENTICITY ( see picture above ).